These newly-launched hanging ornaments fit Christmas perfectly. Each of them is with a pre-looped string and ready to hang on your Christmas tree. These delicate ornaments can beautify your tree and add up to the lovely Chritsmas atmosphere of your house. 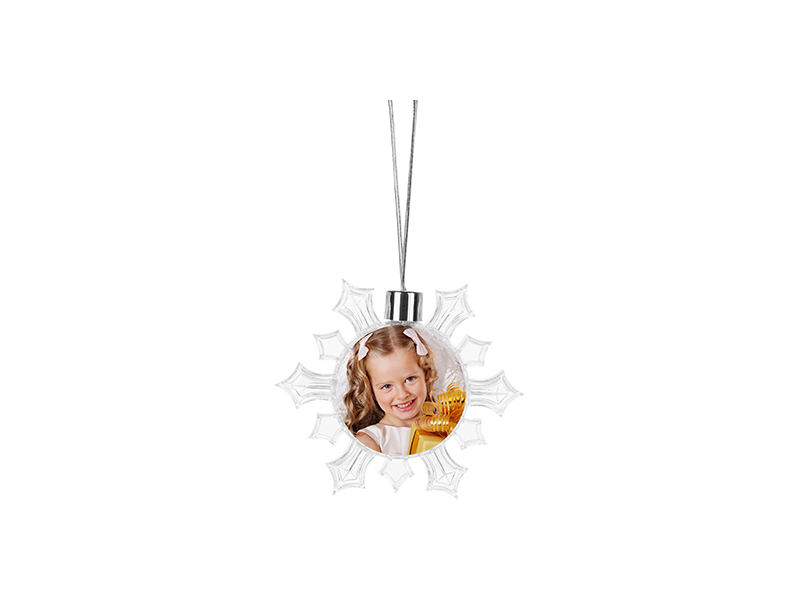 For personalization, you can imprint the aluminum inserts for the ornaments with your family photos by sublimation printing and then put the into the ornaments. With the lovely photos on it, it will be the most beautiful tree carrying all those precious memories of your family. 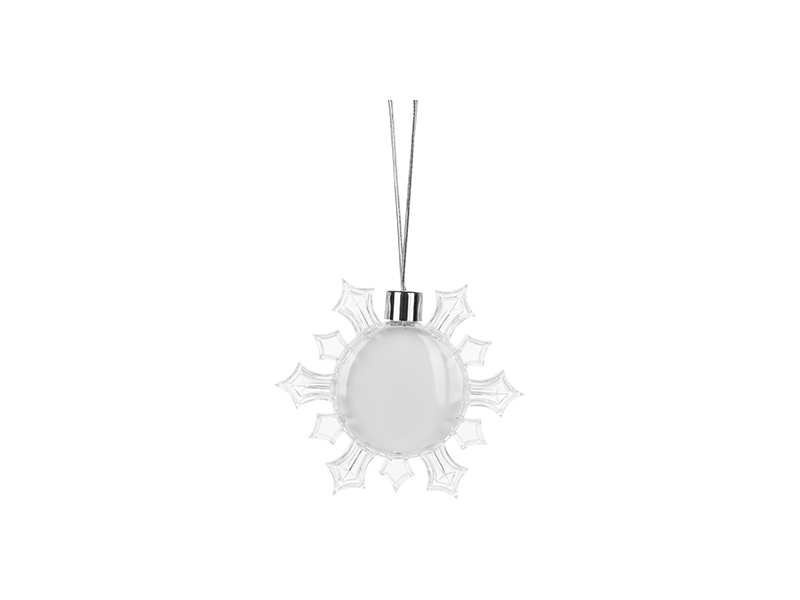 Meterial: Transparent plastic , each ornament comes with a two-sided aluminum sublimation insert.